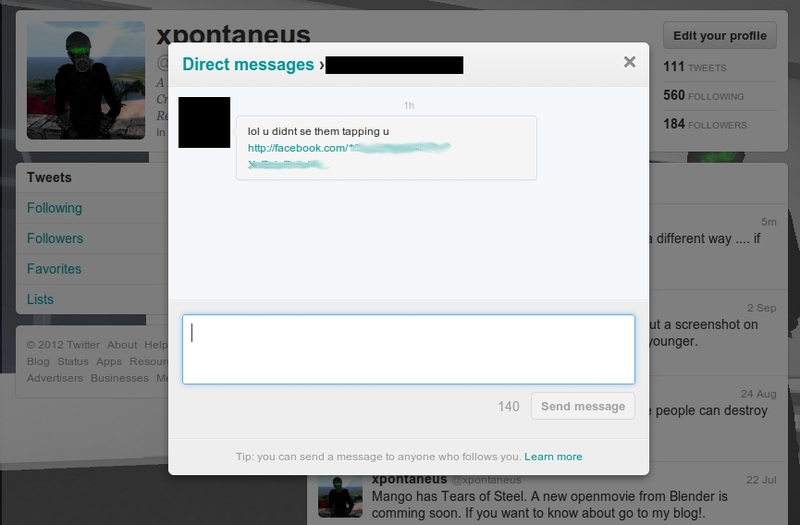 Fake Private Twitter Messages: Be Aware of What You Open! I do this things, just to teach people to don’t trust in all messages with strange links. If you receive a private message from someone you know but you don’t trust the link, then don’t opened. Sometimes the curiosity killed the cat. You don’t know what could happens with this suspicious links. This entry was posted in Start and tagged fake message, fake social network messages, trap messages, trap messages in social networks on September 15, 2012 by Xpontaneus.